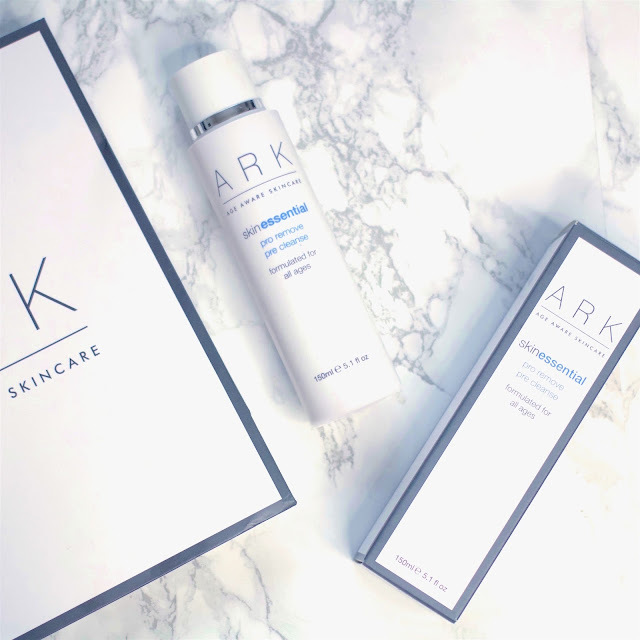 ARK is a premium quality British skincare brand which uses natural active ingredients to treat skin by age and skin concern. 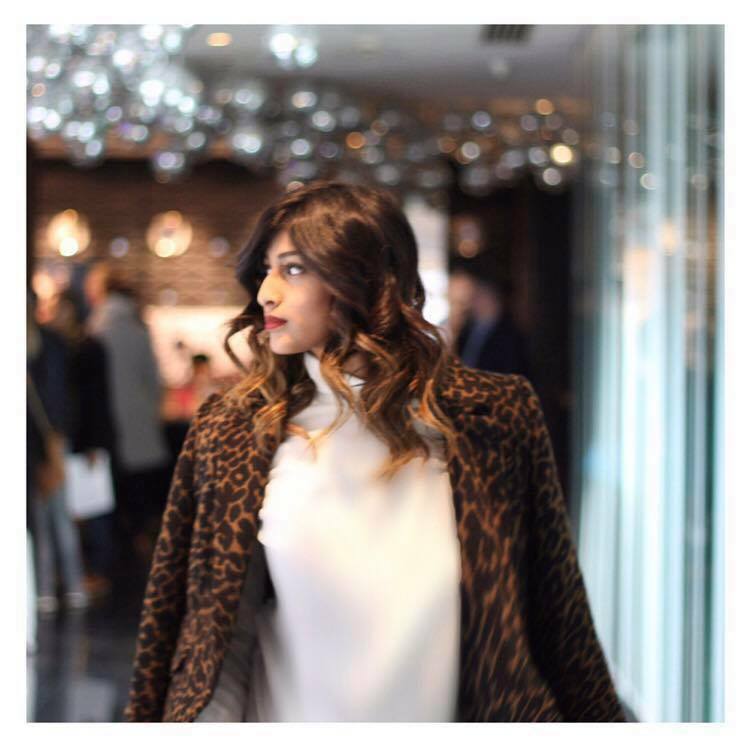 I first came across ARK Skincare at The Bloggers Hangout London Fashion Week Event (post here) and I was really impressed by the company and the concept of their products. The brand stands out for me because it is very age aware; they have product ranges specific to different age groups as they believe that different age ranges have different requirements for their skincare, and they also have a vast variety of skincare products including cleansers, face masks, moisturisers and many others! Over the last month or so, I have been using the ARK Pro Remove Pre Cleanse* Oil and it has become a big part of my skincare routine! As you may know, my normal to dry skin has become very dry and dehydrated during the colder months, so I've been looking for products which will give my skin the TLC that it really needs and my Pro Remove Pre Cleanse by ARK has been exactly that! Cleansing oil's have been very popular recently, and after trying out the ARK Pro Remove Pre Cleanse, I can see why - they're a lot more effective at removing long lasting make up and unlike water based cleansers, they don't completely dry out your skin, which works really well for me. This cleansing oil has been specially designed to be used as the first step in a double cleanse routine as the multi fruit lipid blend works brilliantly at dissolving the make up, dirt and grime that the skin builds up throughout the day. It contains a blend of Grape Seed, Avocado and Kiwi Oil, which cleanses and nourishes the skin, as well as Zi Cao (an ayurvedic herb), which helps soothe sensitive skin. To double cleanse my skin after a long day, I've been applying the ARK Pro Remove Pre Cleanse all over my face first and massaging it into the skin to dissolve the make up, and then I've been rinsing it off with warm water and going in my current everyday cleanser (which is the Skin Doctor's pH Balancing Cleanser). It's important to bear in mind that ARK is a premium quality skincare brand, with a premium quality price tag. - the Pro Remove Pre Cleanse comes in a 150ml bottle and retails at £30, which I know isn't for everybody, but I find that the product has been effective for me and I've noticed a difference in the way my skin looks and feels since I've been using it. Have you tried it yet? What were your thoughts? Let's be honest...no one enjoys their 'time of the month'! But what if there was something to help make that time of the month a little bit more bearable..? The Pink Parcel* is a monthly subscription service which has been specially designed to help you get through your period. Each box consists of all the feminine hygiene products you need during your monthly cycle as well as a selection of lovely little beauty and lifestyle treats to help cheer you up and make you feel a bit better during that time of the month. Whether you prefer tampons or pads, Pink Parcel gives you the option to choose the type & brand of hygiene products you want. Each box contains 24 towels or tampons, depending on what you prefer to use, and if you opt for the towels, you get 5 night time ones too. Pink Parcel offers you 3 dispatch dates to choose from, so you can ensure that your box will arrive few days before your period. April's box was filled with a bunch of amazing products and I thought I would share them with you! These are pretty self explanatory, but it's a nice addition to the Pink Parcel to make sure you feel fresh, comfortable and clean down there - they really have thought of everything! I don't use tampons, but those of you who do, these disposal bags are genius! They've been designed so that you can open and close the bag with one hand and they disguise any odours, are really discrete and they're also environmentally friendly! I think they'd be perfect to use for towels too! When you're not feeling 100%, a pamper evening always helps and I'm really looking forward to trying out the Pomegranate & Paw Paw Mask! My skin has been feeling really dry and dehydrated recently and this face mask seems like just the right thing to help get the glow back, with fresh and radiant skin! This month's box consists of one of three gorgeous products from New Cid Cosmetics, and in mine, I received an iSmoulder Eyeshadow Pencil in the shade 'Chocolate', which is a gorgeous shimmery dark brown. I am so impressed with this product! It's double ended, so one side is perfect to use as an eye pencil, and the other is a spongey applicator which is dream to blend with! If you don't manage to get the iSmoulder pencil in your box, you could get the iPout Lipstick or the iFix Eyebrow Pencil instead! This French Martini hand cream smells amazing! If it's not your favourite, you can get products in other cocktail inspired scents such as Pina Colada, Cheeky Woo Woo and Virgin Mojito! Pink Parcel have paired with True Brit London to create an exclusive new nail polish which is only available to Pink Parcel subscribers and it's in a gorgeous pastel pink which matches their packaging! True Brit are renowned for having really high quality nail colours, so I'm really looking forward to trying it out. Next month, they'll be working together again to bring another new exclusive shade! Lets be honest, we all crave sweet treats when we're on our periods, so April's box contains a low fat and gluten free Mallow & Marsh Bar to cater to your sweet tooth! I got the Vanilla bar which is coated in milk chocolate (yum!) but they're also available in a coconut and a raspberry and dark chocolate flavour! If you prefer something savoury instead, this months box contains 2 Nairn's Rough Oatcakes! I like these because they're packed full of wholegrain oats and complex carbs which will help give you a boost of energy when you're feeling super sluggish cos of that time of the month! Last, but by no means least, the April Pink Parcel has some Chamomile Tea from Tea Pigs which will help you relax, unwind and switch off after a long day! Overall, I think these boxes are SUCH a good idea! 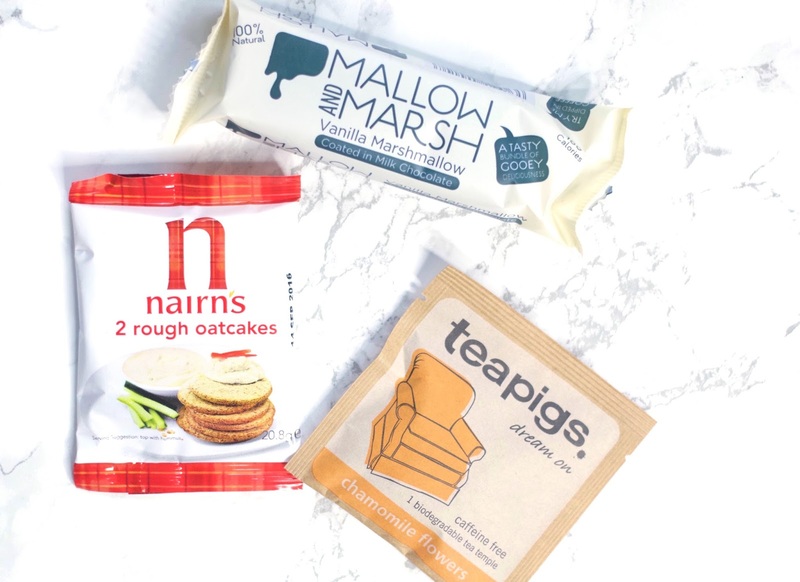 Every month you get a selection of different brands, treats and products and I just think it's so nice to have something like that to look forward to when you're not feeling your best around that time of the month! Your first Pink Parcel box, costs £9.95 and thereafter £12.95 (including postage) each month. 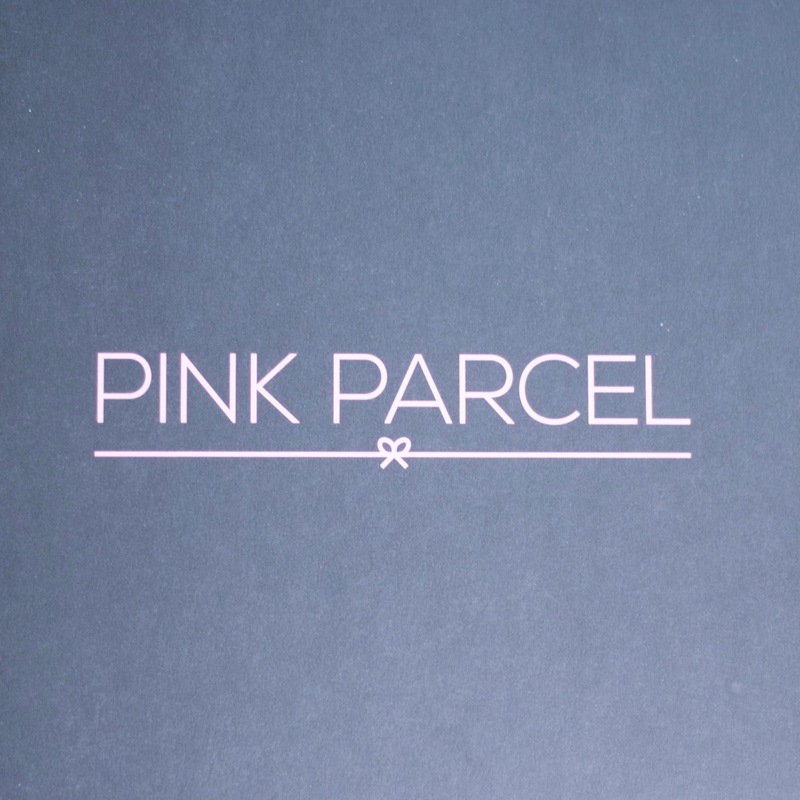 You can subscribe to Pink Parcel here. 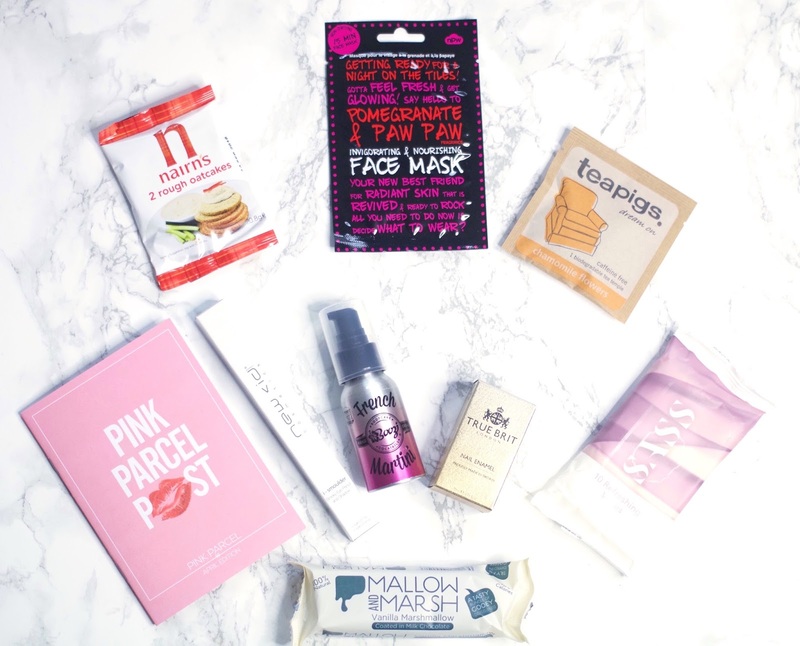 Have you tried out Pink Parcel? What are your thoughts on this months box?